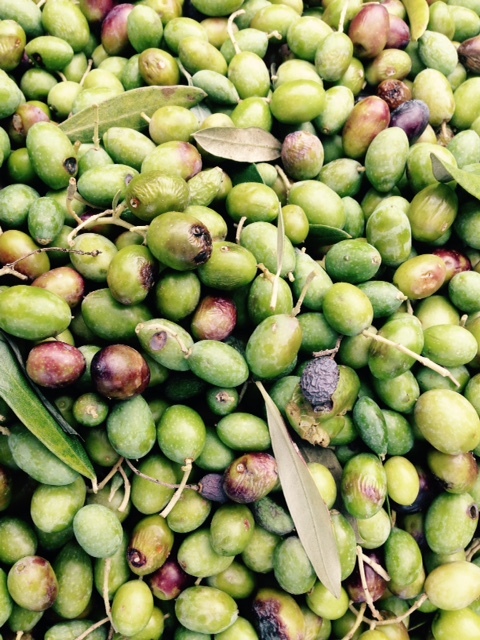 I have spent the last five days climbing up in olive trees and stripping branches of all they offered; olives big and small; deep, dark red olives and light green ones; some plump and taut-skinned and even olives beginning to shrivel. The weather has been friendly. Yesterday I think I got a bit too much sun. It is beautiful to be able to say that at this time of year. We had a bit of wind one afternoon, which cooled things down noticeably after the sun tucked itself behind a wrinkle in the hills. But overall it has been an ideal week. The joy of such simple seasonal work is its own effortless reward…including room for a bit of sweat. 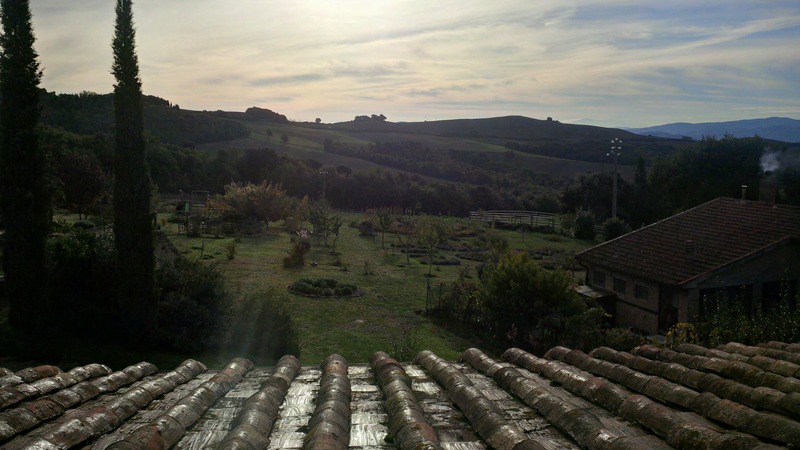 I was ‘farmed out’ from my home farm, Ebbio, to come and stay with a friend and her family at their home near Volterra. They live in a place of such character and unfathomable beauty that my head nearly spins upon rising to greet each morning as the sun spills over the hills unfolding before me. 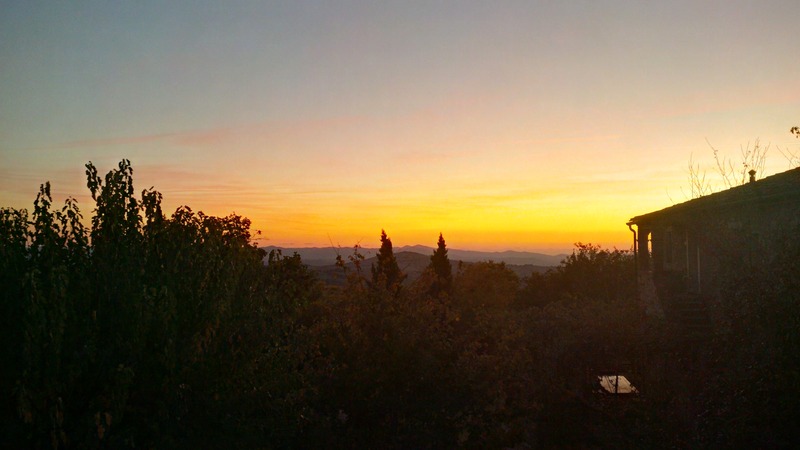 It is called Borgo Pignano…a special gem, even for Tuscany. Mid-morning view from Pushpa’s home. …and later in the day. My friend and host, Pushpa, has been heading up this project from its inception through the past fifteen years, coordinating guests, gardens, parties, families, animals, on-site schooling, sacred ceremonies, countless crops and various other interesting and progressive programs and dreams. The ownership seems to have recently shifted gears, apparently selling out their ‘bohemian chic’ dream in search of five-star style, pursuing a specific clientele. Pushpa is now in the planning stages of building another community (likely still in Tuscany) that will hold truer to its core values, not getting caught up in the money game she sees spoiling the soup here. So as their family transitions from their beautiful home here at Pignano, it has been a pleasure to pick olives with all of them, the kids chipping in too, along with a cast of other friends and relatives. We have been putting in long, full days, stopping to enjoy hearty picnic lunches, always with real food, usually quite fresh. Pushpa amazes me with how much she can accomplish in the mornings and evenings, baking bread, toasting apple slices, picking pears, making grape jam and juice, making cheese, baking sheets of focaccia (both sweet and savoury varieties), among a dozen other things. She feeds her family, a cat, four chickens and a horse (and me! ), hosting friends for dinner and occasionally overnight, gifting loaves of bread and other goodies to neighbours. She is an incredibly active mother, for far more than her own family. But back to the olives. We picked on a few properties. Pushpa’s friend, Susan from San Francisco, owns a property near Volterra and told us to help ourselves to her tools and her trees. She had no other plans arranged for anyone coming to pick them. There were a lot of other great treats on this property, aside from the lovely Tuscan cottage which hosted a couple of ‘up-scale’ picnic lunches. A healthy vegetable garden sat a ways down from the house, grapes hanging from a trellis leading downhill towards it, and two or three persimmon trees sprawled out just beside the garden. I had never tried persimmons before and now I am in love! They are incredible. And never better than fresh, organic, right off the branch. So juicy and sweet! We have also been picking a bit further afield with Chris, who used to work in the garden here at Pignano, stripping a few of the trees on his mother’s property. While we were picking there the other morning, Pushpa came running past me, grabbing me by the arm, saying, “Hurry, come hide in the bushes with me.” Having grown accustomed to trusting my hosts out here and not questioning much, I leapt into some nearby bushes as a pair of helicopters passed overhead. Pushpa explained that she had heard of people being fined for having extra pickers on hand. Apparently the olive harvest is being watched more and more stringently, the government keen to get a slice of the action wherever possible. We kept our heads down until the choppers were out of sight, laughing a bit at the ridiculous scene. 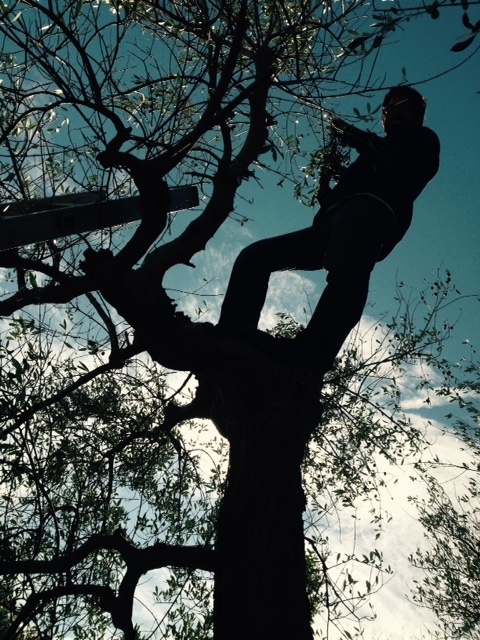 Chris, son of the rightful landowner, carried on picking, seemingly alone…if seen from above. 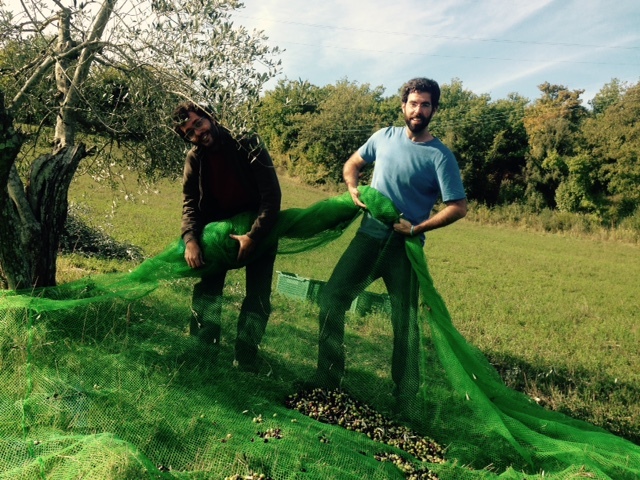 Vito (Pushpa’s husband) and I corralling a few olives in the net. The week has sped by, and I feel both fit and well-fed. Normally steering clear of dairy and wheat over the past few years, I have been embracing the fresh, local and organic cheese (made right here) and bread that is not only fresh, local and organic, but from a strain of grain that Pushpa and Vito carefully selected as they planted the crops here. They have a stone mill on site and I experience none of the bloating and heaviness that I often feel with other breads. The goat cheese and sheep cheese is fantastic. She has so many fresh jams, marmalades and other sorts of spreads (including delicious organic honey also from Pignano!) that breakfast, lunch and dinner always roll out with almost embarrassing abundance…each meal seems to have its own dessert! I am a very happy helper here. One of the greatest joys I have found in the fields during the days, even considering the stunning views and sweet, warm air, is giving my all without asking anything in return. I am working hard without a dime in mind. It is so freeing. Of course I am being well hosted and certainly well fed, but I am putting in solid days of work without any idea of ‘personal gain’. A number of insights have come to me this week while working in this way – some new, others reminders – but the only way (it seems to me) to really connect with them is to live them. What is the value of selfless labour? I can tell you, and yet it cannot truly be conveyed in words. Find out for yourself. What does uncaused joy feel like? I can tell you with great conviction that all the joy you have ever felt is actually uncaused, but this may just sound like a bunch of words to you. We are so quick to capture our joy and label it, tying it to external stimuli, that we limit our capacity for real freedom, convinced we have needs outside of ourselves. I assure you we have all we need within us…this even includes every meal coming our way. Perhaps our self-definitions could embrace a bit of broadening? We are much more than we imagine…and also less. 😉 And we don’t need to try to figure that out. I don’t understand it. I just feel it. We can engage life with a receptive heart, ready to hold the moment as it flows through us (or we through it, as you like). Instead of holding on to or holding out for anything, we can trust life, holding our hearts open to its endless wonder. Living this way cleans our sight. If we allow the silence of this truth to ripen, giving it a bit of space to spread its wings and whisper its wisdom, our habits of seeking and needing can soften and disappear altogether. To be without want is a wonder beyond anything we can conceive. We can dance freely with life and allow everything to blossom in its own course, offering itself as it is ripe and ready. With patience, we realize more and more deeply that the only way to get to any ‘there’ is through here. This is where to invest. But don’t try to figure it out – the very attempt to understand it all is itself an escape. So have a breath. Let go. Lather, rinse and repeat. Back to Ebbio tomorrow and soon heading north toward Munich. Will try to touch base in about a week. 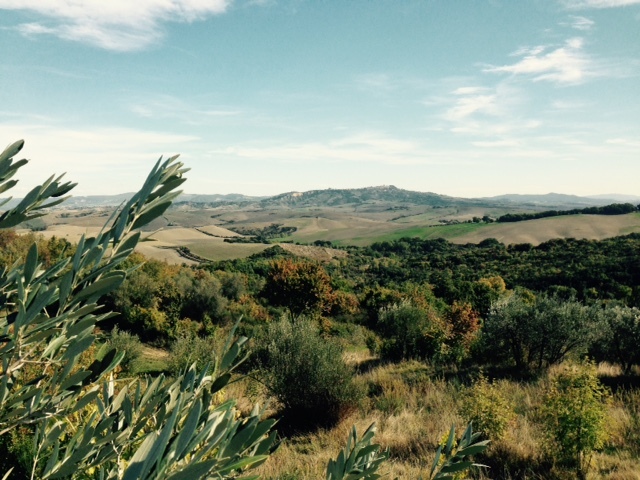 It has been a wonderful (and wonder-filled) week here at Ebbio – my European home away from home – tucked safely away in the Tuscan hills northwest of Siena. The sun is shining and the animals are all out playing. I layed on the trampoline for a wee rest after washing the morning’s dishes and now that our guests are gone (having finished their week-long yoga retreat) the farm is quiet and I am left to reflect on these beautiful days gone by. Shanti the cow gave birth to a cute new calf the day I arrived. That seemed like a good start. We had a few days of rain, but a lot of sunshine also. The smell of ‘after rain’ is so rich in the Tuscan countryside. There have been several clear nights to stare up and drink in the stars, their light so strong here, the sprawl of the milky way so well defined, that one can only be stunned by wonder. The air is cooling with autumn’s fall, but the sun is still strong and warm in the daytime. Yesterday I went hunting for mushrooms with a friend. It was fun. It has not been the greatest season for mushrooms, apparently, with the summer having been rather dry. But we filled a basket and returned to the farm to crack some nuts open. We have a lot of walnuts here and some almonds too. It takes time to get at them, but it is enjoyable, espcially with some good company. We found some decent rocks to crack the nuts open and sat chatting on a stone wall for a couple of hours as the chickens clucked and scrapped over the bits we cast aside. The donkeys and horses have been out and about this week. The geese are on the loose daily, even getting caught taking a swim in the pool yesterday. The chickens, too, can regularly be seen scouring the land for snacks. Rico and Rocco, our farm dogs, are always on hand, ready to greet guests or bark at wild boars. My friend Felix, who generously picked me up from the airport in Rome last week, came by to help out here and stay a couple of nights. We went out for a fancy dinner in San Gimignano on Tuesday (I had a mushroom risotto), and then I was invited to join our yoga group the following night for a nice dinner in Castellina in Chianti (I had gnocchi in pecorino cheese sauce). 🙂 I know I am a lucky lad. I was also invited to join this beautiful group for a number of their classes, enjoying both meditation and singing. We did several sessions of heart-opening Kirtan chanting (singing Sanskrit mantras), which was highly energetic and wholly enveloping. We also did some very casual sing-along-style oldies one night after dinner. Just the classics. The Beatles. Buddy Holly. Simon & Garfunkel. Cat Stevens. Bob Dylan. Bob Marley. John Denver…oh, those country roads…they get me every time. The group here was really into the retreat. They came to work. It is great to be around such growth. There was a very powerful energy at work here this week and I was glad to support it, keeping everyone fed an ready to dive back into the studio. I washed a lot of dishes and sang and laughed a lot. I felt a lot of love. Next week looks like olive harvest. Here I sit in Gate C32 at Pearson Airport awaiting my flight to Rome. I was hoping to get a quick blog post off earlier today but I was busily tending to final chores before leaving. I am traveling with only a small backpack and my guitar this time around, knowing I need very little to get by. 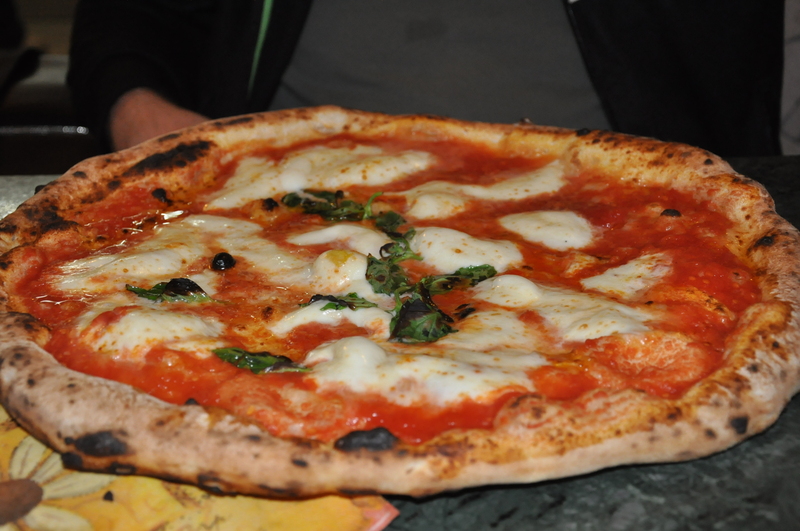 Once in Italy I hope to return to a regular blogging rhythm. This summer sped by with very little writing to speak of. But it has been quite a summer indeed. I travelled across Canada with an awesome group of youth and we had ourselves quite a time. It is a bit of a blur looking back, but I am so grateful for the opportunity to explore our country in such a way. I am surprised I didn’t get posting more about it sooner. I got out of the habit of blogging and let it slide. Some further reflections will likely emerge over the next little while. So get ready for more stories from the road! Here they come… This will be a simple start for now. I am writing on an iPad for the first time, as they are sitting here at the airport in abundance, open to any and all. My plans are pretty basic for the next few months. 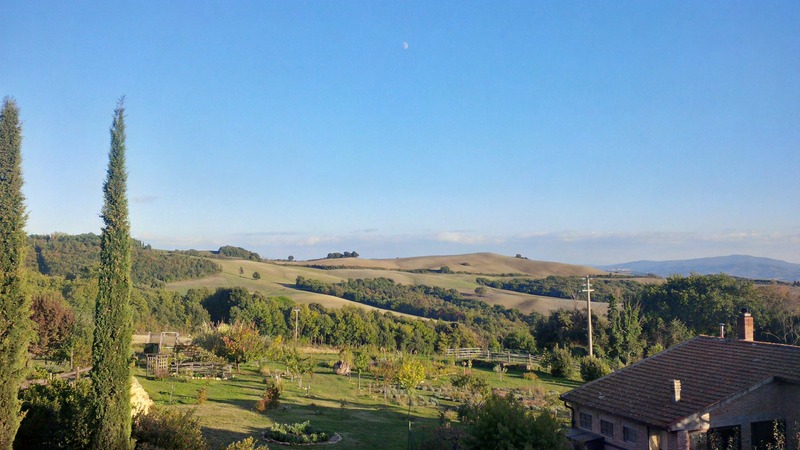 Home base will be Ebbio, a farm in Tuscany that I lived and worked on a few years back. I will work a bit and wander as I feel led. I hope to say hello to a number of friends here and there, though I won’t likely wander too far north for now. I intend to return to Toronto for Christmas, and have a return flight booked for just that. So maybe I will stay warm in the south of Italy for a while leading up to that. We shall see. The boarding has just begun, so I will sign off for now. Enjoy the journey everyone! 😀 We’re all on an adventure whether we know it or not…so ride the road you’re on! See how it goes…and let me know.